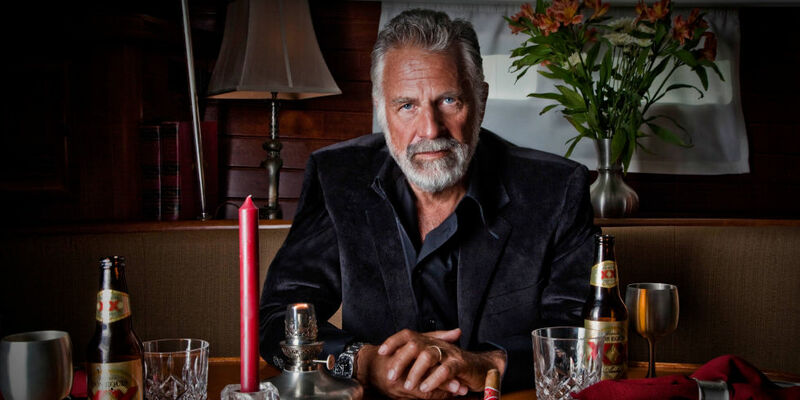 World of Avallone - Men's Fashion & Lifestyle – tagged "Smart People"
You know him as "The Most Interesting Man in the World," or possibly as your favorite carpool buddy, but it turns out that Jonathan Goldsmith, the actor behind the character is actually pretty damn interesting himself. So we got him to check in and tell about all the coolest stuff he's done in real life and we don't think you'll be disappointed. "My work with M.A.G and my recent trip to Vietnam with them to help find and detonate landmines made me realize just how much more work still needs to be done and also how many lives have been saved by the organization's valiant work." "Living aboard my sailboat in Marina Del Rey allowed me to enjoy nature in the middle of a big city with a true sense of tranquility. I also enjoyed the cooler climate, especially in the summertime." "It was a real pleasure to visit our troops and to see how they enjoyed being reminded of just a touch of home that I could bring them. I'm headed to the USS America aircraft carrier next week to meet more." "It was incredible to meet the most powerful man in the free world, both at the White House and at Camp David. He is a charming, humorous, and delightful gentleman." "One must always be prepared and aware. If they are not, they risk the lives of others getting injured when rescuing them." "I was amazed that in a room full of luminaries including esteemed members of the media, our government's leaders and other celebrities, that everyone treated me as one of them." "He is one of the most exciting out-of-the-box thinkers of our time, a real forward thinking man. It was a great pleasure getting to know him and working alongside him as well. One of the most counterintuitive traits that can hurt entrepreneurs is smarts. Yes, the more successful you are and the more talents you have, the harder it is to run a business. While you may think that being smart, motivated and talented would logically make someone the best possible candidate for entrepreneurship, unfortunately, this is often not the case. The 'I'm better than everyone at every task' challenge. The smart-people problem starts back in school when the dreaded “group projects” are first assigned. Knowing the 80/20 rule for work (80% of all work is done by 20% of the people), what do you think happens in every group project? The smartest and most talented people in each group decide that they are going to do the lion’s share of the work. They don’t want to risk their grade in the class by dividing the work equally and hoping that Timmy (the guy who is absent from class two days a week on average and sleeps through class on the other three days) does his part well, if he remembers to do it at all. In school, there isn’t any benefit in trying to get Timmy up to speed quickly. Forget that -- the smart people just take over and do the whole project themselves. And thus begins the smart-people work cycle. The smartest people do just about everything better than most everyone else. They write better, plan better and reason better. They are better, until it comes to running a business. Then, they are not better; they are screwed. There are only 24 hours in each day and a person does need to sleep, eat, shower and do certain other things. So, each day, this smart person tries to do everything himself, because he can’t stand someone else doing a job badly. Then, he is stuck with the one-man band “job-business” and ends up not being able to grow. Why slackers can reign supreme as entrepreneurs. It is interesting, but actually, some of the slackers are better suited for entrepreneurship than the “smart” people. Why? They figured out early on to surround themselves with smart people who would do the work. They know how to delegate and sometimes, how to manipulate other people into doing things that they don’t want to do. You’re only as smart as you can automate. Ideally, smart people would just be able to convey their talents to others. But since the smart people are so used to doing everything themselves, they don’t learn the key skills for making their business successful, including automating and delegating as many tasks as possible. As a smart person, you need to use your smarts and talents to boil down their essence in an easy to follow format that anyone can replicate. Smart and talented people also often have a flair for the unusual, complicated or different. They don’t like to follow the KISS principle (keep it simple, stupid), which is required to make a business succeed. If you think of the assembly line in a fantastic manufacturing plant or the global presence of McDonald’s, they both seem complex, but in reality, they are a series of incredibly simple functions. Every single task is broken down into easy-to-follow steps. The assembly line worker repeatedly performs a few tasks that are specifically defined. So does the McDonald’s cook, cashier and drive-thru order taker. There is little input from these individuals, as everything has been standardized for them. Some of the largest, most successful businesses in the world aren’t staffed in their majority by the smartest people. They are actually staffed in large part by regular, average (and sometimes, stupid) people. These successful entities have just a few people who are smart enough to standardize, automate and delegate the majority of the tasks in a way that can’t be screwed up by their average employees. So, being smart or talented isn’t going to help you unless you can use those smarts to figure out a way to simplify those tasks that will make a business successful. This isn’t easy, because it goes against everything that you have ever done and is counter to how you were taught to think. However, it is necessary for a business to succeed and why smarts and talent alone don’t predict entrepreneurial success. Another issue with the smart people starting businesses is that they often have the most to lose. The smarter you are -- unless you have the social graces of a wild ape -- the more options you have available to you. You will be able to make a lot of money in a variety of fields and have room in your career to become promoted and make even more money. This means that when you start a business, you have a lot more to risk than someone who makes less money and has fewer career options. This is often referred to as the “golden handcuffs” dilemma. Because you have more to risk, this means that you need to have a business opportunity that is going to provide an even bigger reward for it to be worth it to you. So, with the most to lose, a wide range of other options available and the penchant for more intricate, complex endeavors, don’t be surprised when the person “Most Likely to Succeed” from high school ends up in corporate America and it is one of the more average students that finds success in his or her own business.